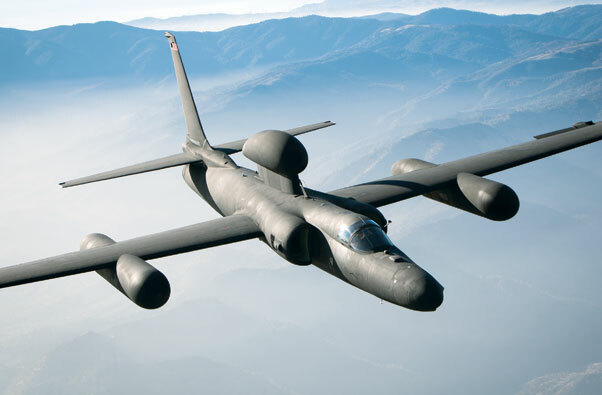 Lockheed Martin celebrates 60 years of the U-2 “Dragon Lady” — the most capable and reliable high-altitude ISR platform compared to any system flying today, manned or unmanned. Lockheed Martin is celebrating 60 years of the U-2 program with festivities planned throughout the company. Also known as the Dragon Lady, the U-2 reconnaissance aircraft was designed by Clarence L. “Kelly” Johnson, creator of Lockheed’s secret “Skunk Works” research and development division and legendary designer of aircraft in 1955. 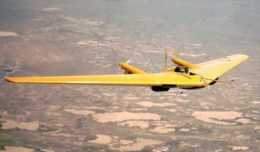 Originally planned for the Air Force but deemed to “risky,” the spy plane was produced in only nine months after conception for the CIA and — under budget. Satellites replaced the SR-71 however Nelson feels nothing to date can replace the U-2. “Global Hawk was made to compliment the U-2. It has its purpose but when it comes to reconnaissance and relaying communication, nothing beats the U-2. It doesn’t simply make a pass, she can hang out all day documenting what is going on and relay that in real time.” Nelson said the U-2 can get to a target faster than Global Hawk and can change mission requirements much, much faster. Always looking ahead, monitoring the global environment and anticipating what the military may need, Austin says Lockheed Martin engineers are constantly brainstorming. Currently they are designing a next-generation high-altitude, long-endurance (HALE) surveillance airplane, known as the RQ-X or UQ-2. 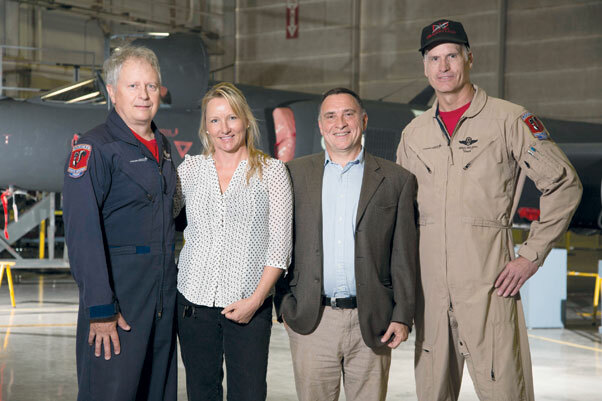 Lockheed Martin U-2 Test Pilots Rob “Skid” Row and Greg “Couch” Nelson, pose in front of a U-2 undergoing upgrades along with photojournalist Linda KC Reynolds and Aviation Week senior editor Guy Norris. Pilots must wear special spacesuits while flying and eat their chicken dinners and chocolate pudding through a straw, often with added caffeine for long missions. The Air Force’s latest budget plan retires the U-2 in 2019, however fatigue tests show that the aircraft is structurally fit to fly through 2045. Payloads can be changed quickly depending on mission requirements. Scott Winstead, Lockheed Martin U-2 strategic development manager said that the U-2 is also valuable for political messaging. When the United Nations was surveilling for weapons of mass destruction, the U-2 was also monitoring the area. “They invited us over to investigate but threatened to shoot down a U-2 if we would not quit surveillance,” explained Winstead. President Clinton said to stay in the area and if fired upon, the Navy was nearby and ready to respond immediately. Today, China is dredging dirt and building a runway in the South China Sea that is large enough for heavy military transport and fighters. “We want them to know we are watching them,” says Winstead.